Med Sled® Products are DISASTER TESTED and DISASTER PROVEN. When the worse case scenario Med Sled® Evacuation Equipment ensures you are evacuation ready. 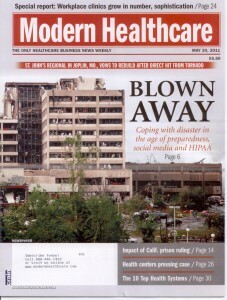 Joplin Missouri in May of 2011, Med sled® Evacuation Equipment was there to support the full evacuation of the hospital. When Superstorm Sandy hit the US East coast in 2012 … Med Sled® Evacuation Equipment was there supporting the full evacuation of New York University – Langone and Bellevue Hospitals in New York City. View their stories and many more below. CNN questions “Why Generators failed …” shows Med Sleds® being used in evacuation. Are you Prepared for the worst case? They were. evacuate safely down 14 floors on a Med Sled. Using the Med Sled as their sole evacuation device, NYU hospital staff evacuated `300 ICU patents to safety without a single death or injury!